Offering MIAMI Hospitals valet parking, parking management, and shuttle services that helps Miami hospitals manage their parking budgets. 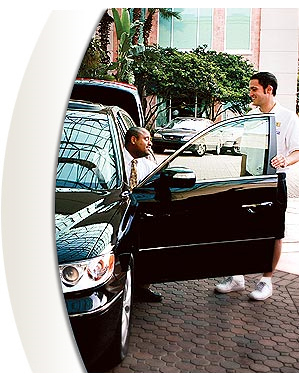 Our extensive experience in the hospital valet parking and parking management industry and our knowledge of healthcare hospitality enables us to exceed our clients' expectations. Understanding that each healthcare facility is unique, HPM will never offer a cookie-cutter solution for our clients' individual needs. By designing customized parking management and transportation plans for each hospital, we are able to provide parking operations that are unique and best serve our clients. Hospital Parking Management customizes valet parking and transportation management solutions to meet your hospital's specific needs and requirements. By offering a full range of services; we are able to maximize hospital's budgets while providing the highest quality service possible. Mr. McKeon is a proven professional parking Executive having worked for two nationally recognized parking companies over the past 20 years. He learned the business from the ground up, with increasing responsibilities over the years. In his role as Vice President, Mr. McKeon focuses on expanding Hospital Parking Managements' presence in Florida and other key emerging markets. He serves as an integral role in Business Development and ongoing Operations to ensure client and customer service expectations are exceeded. As a growing asset to Hospital Parking Management, Mr. McKeon has a multitude of experience to bring to the table. He started in the industry as an Assistant Garage Manager and quickly moved up to a General Manager position, and then as the Vice President for a number of markets in the United States and Canada. Mr. McKeon believes that combining his past experiences and commitment to unparalleled customer service with Hospital Parking Management' philosophy of integrity and accountability makes him confident that our clients will recognize the value in partnering with Hospital Parking Management.